The Samsung Galaxy A90 is tipped to be the South Korean firm's next top-tier, mid-range handset and a fresh leak has potentially given us more insight into its specs. The post also claims the cameras will be housed in a "pop-up rotary design", which co-insides with previous leaks of the handset which also point to a pop-up design, allowing Samsung to feature an all-screen design with no notch or punch-hole. We've already seen a similar pop-up design with the Oppo Find X, while the Xiaomi Mi Mix 3 implements a sliding screen to provide an uninterrupted display and almost zero bezels. 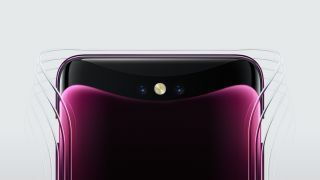 The leaker goes on to say that the Galaxy A90 will measure 76.5 x 165 x 9mm - which would make the handset rather thick by today's standards - and will tip the scales at 219g - making it one of the weightier phones on the market. Galaxy A90 or Galaxy A80? There's a potential question over the name of the handset as well, as the Galaxy A90 may actually be called the Samsung Galaxy A80. It's worth taking all of this with a pinch of salt, as we're unable to guarantee the accuracy of these leaks, which means details may change before the phone arrives. The good news is we probably don't have too long to wait to find out which is right, as Samsung is hosting a launch event in Milan, Italy on April 10 where we expect the phone to launch. We'll be reporting live from Milan to bring you all the latest news, including everything you need to know about the Samsung Galaxy A90 (or Galaxy A80) if it does show up. Forget pop-up cameras, how about a pop-up smartphone display?